Tee off with the Mighty T-Rex! Jurassic Golf at Field Station: Dinosaurs! 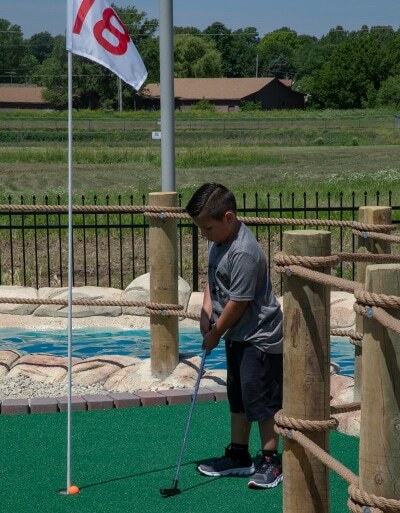 Journey through a world of geologic challenges as you conquer waterfalls and rock structures on your way to 18 challenging holes of fun! Open Memorial Day and Independence Day! 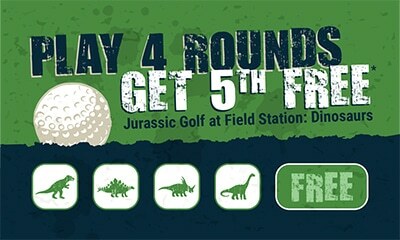 Stop by local Derby retailers and look for our Jurassic Golf Frequency card! Play 4 rounds and the 5th round is FREE! Season Pass Holders receive FREE golf for the ENTIRE season! Jurassic Golf is now included in your pass for FREE! Get unlimited rounds all day long! 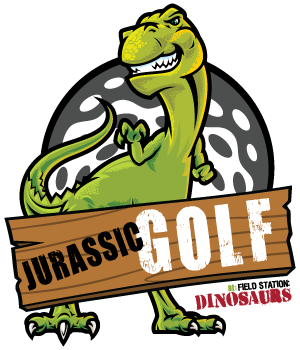 Jurassic Golf does not require you to buy a Trail Pass, so stop by to tee off with the Mighty T-Rex anytime!